Indonesia - Malaysia strengthens cooperation in the automotive sector. This step was taken to deepen the manufacturing structure, complement the component needs of the two countries, and an effort to develop a competitive automotive industry in the ASEAN market. The two countries are officially exchanged Memorandums of Agreement (MoA) represented by the President of the Indonesian Automotive Institute (IOI) I Made Dana Tangkas and the CEO of Malaysia Automotive Institute (MAI) Dato Mohamad Madani Sahari, witnessed by Malaysian Minister of Trade and Industry Darell Leiking and General Director of KPAII from the Ministry of Industry. On that occasion, the General Director of KPAII also held a meeting with Minister Darell Leiking. General Directorate of Resilience and International Industrial Access Development (KPAII) from the Ministry of Industry, I Gusti Putu Suryawirawan said that the cooperation will include development of human resource, strengthening supply chains, increase competitiveness between component industries and conduct research and development (R & D) activities. Putu added, currently the Indonesian government is focusing on spurring the development and competitiveness of the automotive industry. 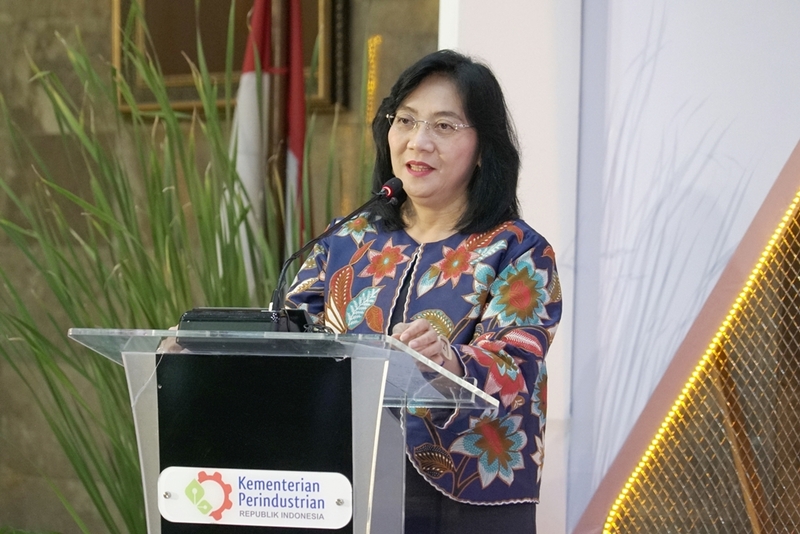 The reason behind this action is because this sector is one of five industries that will become a pioneer in the implementation of the fourth-generation industrial revolution according to the road map Making Indonesia 4.0. In accordance with the national automotive industry development roadmap, by 2020, 10 percent of the 1.5 million domestically produced cars are low carbon emission vehicles (LCEV). Then, in 2035, it was targeted to increase to 30 percent when production reached 4 million cars. On the other hand, IOI President I Made Dana Tangkas said, IOI and MAI are encouraging joint ventures between automotive component companies in Indonesia and Malaysia to meet the principal's needs in many countries. 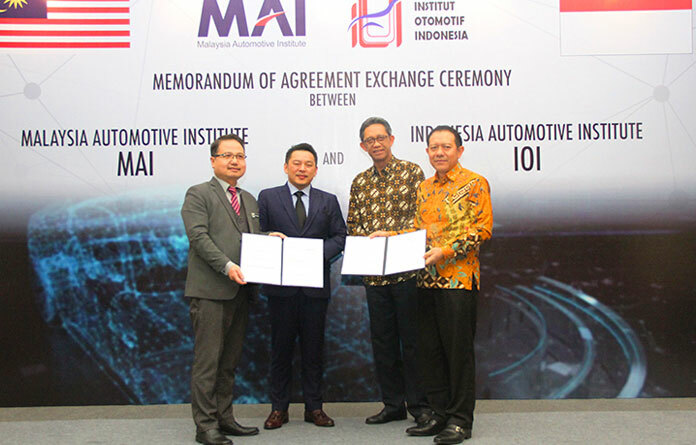 In addition, it will initiate the establishment of the ASEAN Automotive Institute Federation. Malaysia's Minister of International Trade and Industry Darell Leiking said the idea of an ASEAN Automotive was delivered by Prime Minister Mahathir Mohamad. Through the cooperation of the two countries' automotive institutes, it is expected that there will be market expansion for vendors on both countries. Leiking added that the results of this collaboration were followed up to be measurable. MAI CEO Dato Mohamad Madani Sahari added that both parties would identify companies that could cooperate and be encouraged to produce components for internal combustion engine (ICE) vehicles, then conduct joint research to learn all new technologies, such as electric or hybrid vehicles. 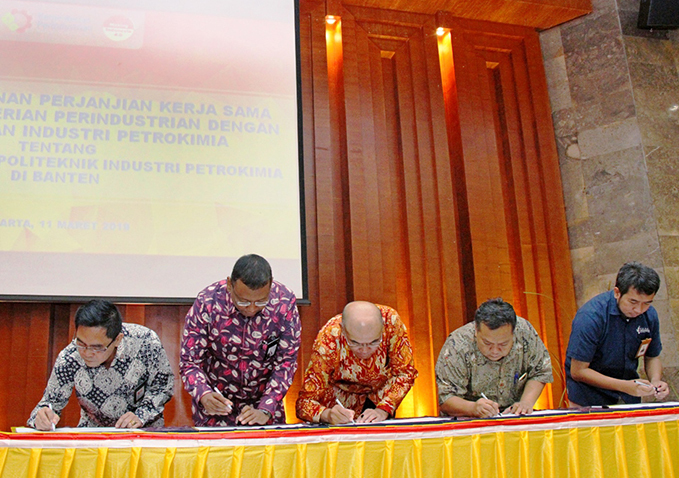 PT Chemco Harapan Nusantara is a joint venture between Nissin Kogyo Co., Ltd. Of Japan and PT. Prospect Motor of Indonesia. Kojin is insert molding manufacturer.As environmental consciousness of society increases, the need for our products are also spreading further. PT. Toshiba Display Devices Indonesia (Japanese company) on electronics devices manufacturing. PT. Samcro is Korean Manufacturer of Hook and Loop Magic Fastener Tape(Velcro) PT. Samcro Hyosungbbing Tape and Shoe lace In Indonesia. PT. Dunia Express Transindo have a Quality policy to Pursuing Quality continuous improvement by implement consistently quality management system that handled by competent team to deliver excellent, timely and satisfying services as a comprehensive logistic solution.